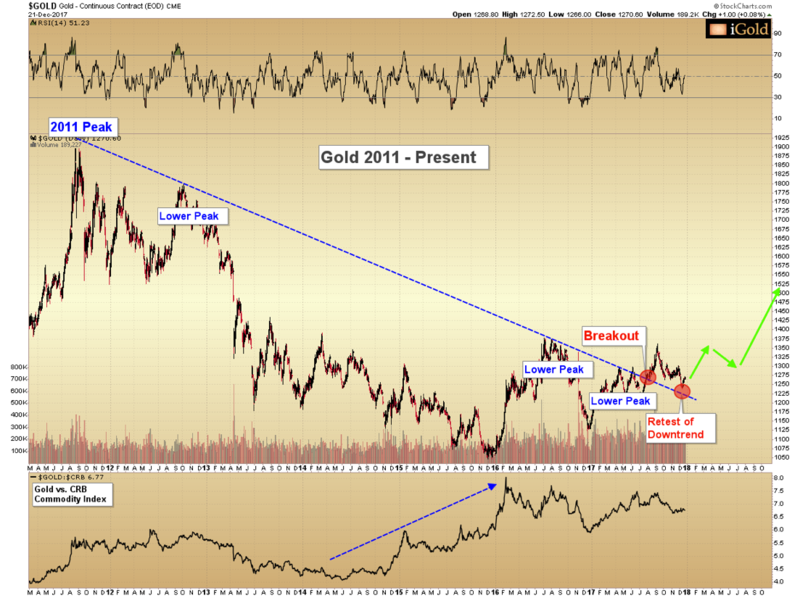 “Return to the first chart of this article: gold has broken an even longer and more important downtrend, which extended back to 2011. Let us now examine the most updated version of the chart. What do we see as prices have declined since August back down to $1,236 last week? Nothing less than a retest of the even more significant long-term downtrend. Look for gold to rally substantially in 2018! It is about time for a good rally. This entry was posted in Gold and tagged gold bottom. Bookmark the permalink.